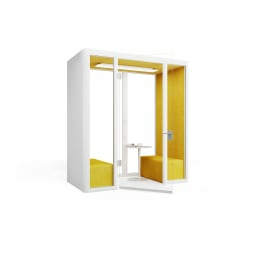 A thinking island with perspective that has received several design awards. 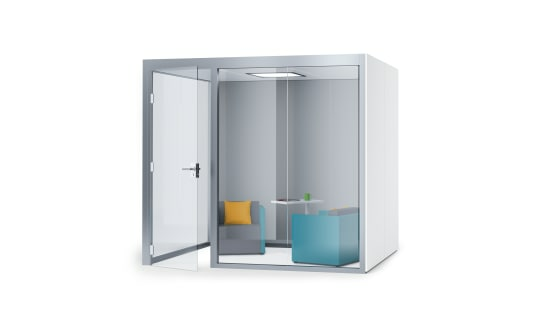 Space to think, discuss and retreat. 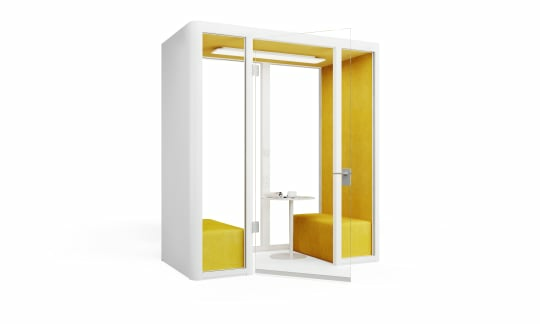 The think-zone: Peace and quiet in a single square metre. 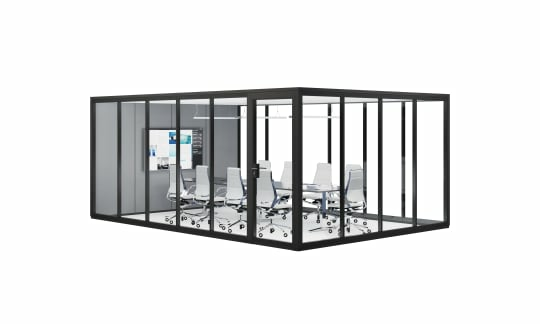 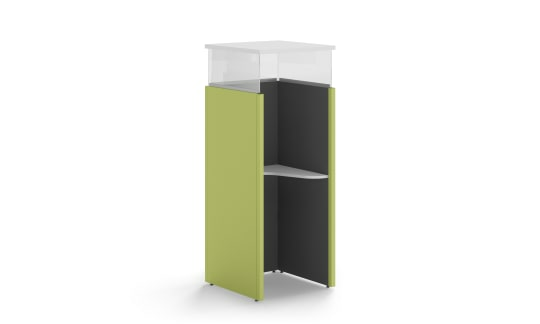 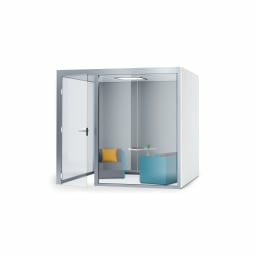 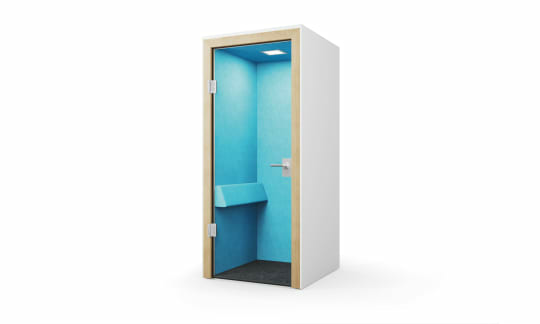 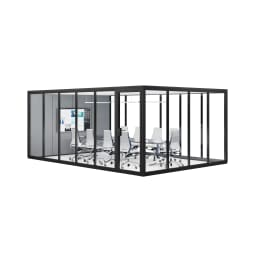 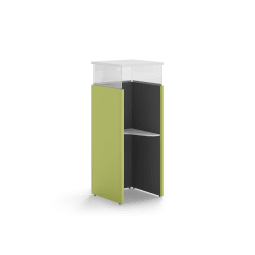 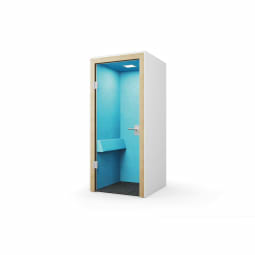 Self-contained meeting solution for peace and quiet and therefore more concentration.